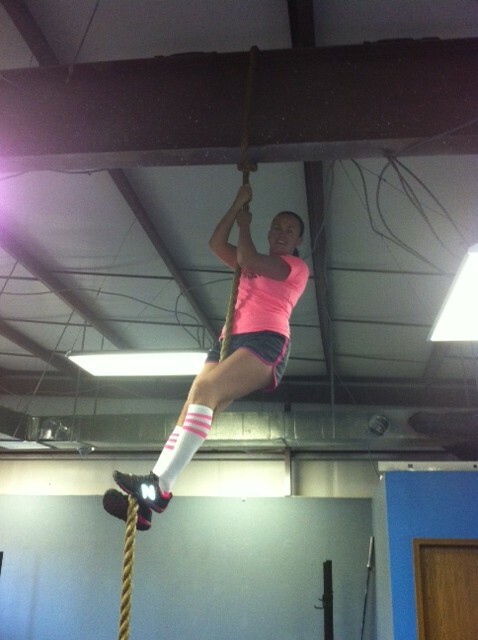 For the past 9 months every time I have walked in to our CrossFit box (gym), a rope has been hanging from the ceiling, teasing me. I have attempted to climb that rope dozens of times but for some reason I just couldn't get past the first 2 or 3 feet off the ground. This was especially frustrating for me as I climbed ropes in the Army and I don't remember it being that hard. 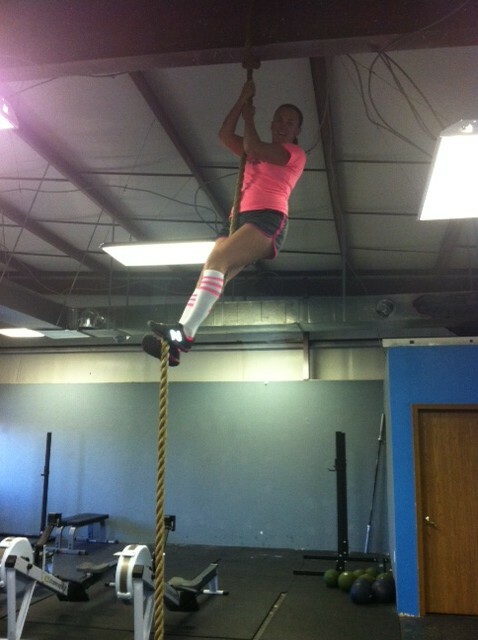 Yesterday, though, I was watching some You Tube videos and came across WOD Technique and the lesson climbing the rope. I couldn't wait to get back to the box and try it. And . . . guess what I did this morning? I know it sounds silly but I was/am really proud of myself. Another goal down. Another milestone hit. Have you met one of your fitness goals for 2013? I'd love to hear about it. Awesome!! Good for you! You look fabulous!